Welcome to Ortisei (Lad. Urtijëi) in Val Gardena (Lad. Gherdëina)! This village counts about 4600 inhabitants and is located in the heart of the Dolomites at an elevation of 1236 m. This premier nature and holiday resort is embedded between the soft incline of Monte Rasciesa and the steep wooded slope of Europe's largest high-altitude plateau, the Alpe di Siusi. 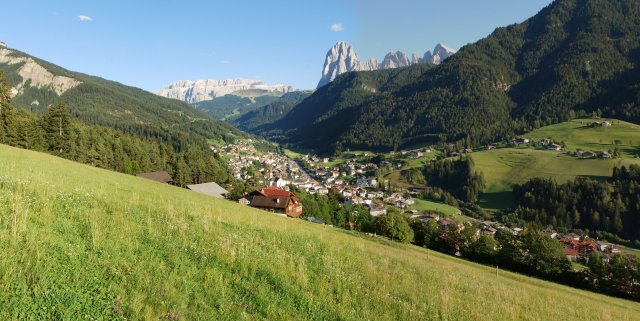 Ortisei and Val Gardena are not only special for their suggesting landscape, the woodcarving and the many possibilities of spending either active or wonderfully relaxed holidays but also for their people, the Ladins. Their centuries-old culture with its own language dates back to the Roman colonisation of the Alps. For historic reasons, German is also spoken in this interesting little paradise. 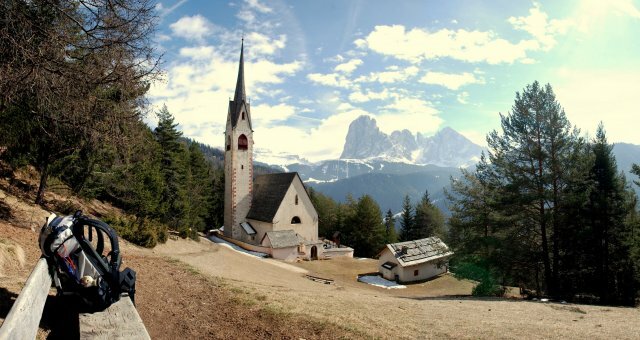 Thus, for the same place Urtijëi is Ladin, St.Ulrich is German and Ortisei is Italian and Gherdëina is Ladin, Gröden is German and Val Gardena is Italian. The tourist hotspot Ortisei offers a large array of accommodation facilities you can choose from and unlimited possibilities to spend your time during your holidays all year round: hiking and mountaineering on well-marked trails, Nordic walking, mountain biking, downhill or cross-country skiing, snowboarding, ski touring, snowshoeing, sledging. There is also a great indoor and outdoor swimming pool complex with different saunas, a fitness centres with saunas, and you can play billiard, golf, miniature golf, tennis and go riding, fishing, as well as ice skating and curling. All accommodation facilities are at a stone’s throw from the slopes in winter and in summer you can just put on your hiking shoes and go for it. Modern cableways and lifts are part of the modern infrastructure Ortisei has to offer. Monte Rasciesa, Seceda and the Alpe di Siusi are waiting to be discovered by you! In Ortisei there is a very good bus network as well as a pedestrian connection between S. Antonio Square and the Seceda valley station through escalators and moving walks. 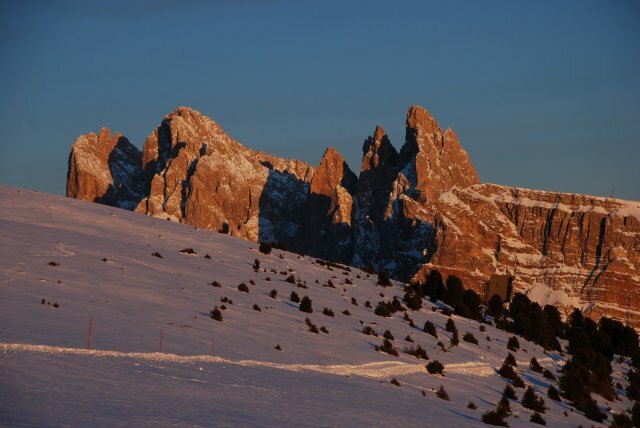 Moreover, Ortisei is connected with the famous Sellaronda ski circuit and is part of Dolomiti Superski, the largest ski carousel in the Alps. Ortisei boasts of exquisite restaurants and pizzerias where you can taste typical South Tyrolean and Mediterranean dishes! The lively pedestrian area in the village centre is a wonderful meeting place with many lovely cafés and great shopping possibilities. What Ortisei’s nightlife is concerned, there are several pubs, bars, après-ski locations and a disco which you should check out. There are many events taking place in Ortisei throughout the year. the former alpine skier Isolde Kostner who won three Olympic medals, was twice World Champion and won twice the Downhill World Cup. The public transport service in South Tyrol and also in Val Gardena is very good. Ortisei can be reached by car, bus, train & bus, airplane & shuttle service, airplane & train.